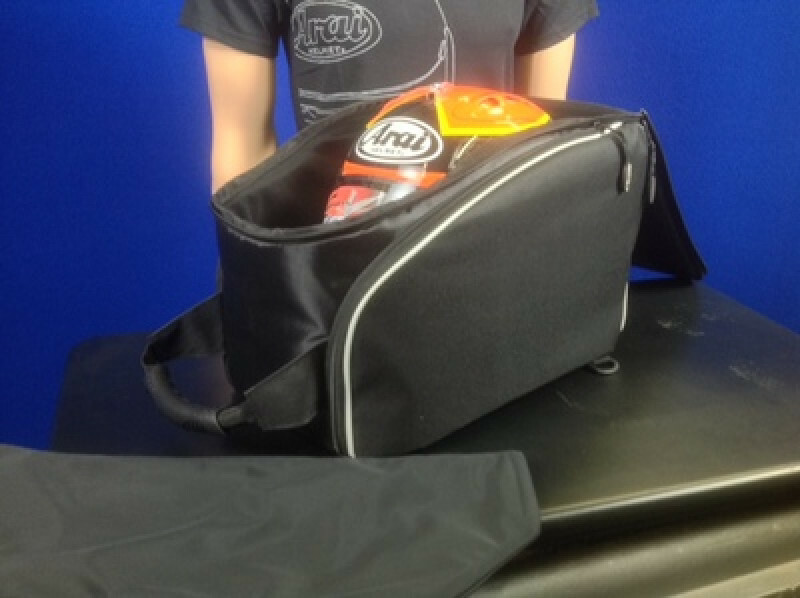 Extremely well padded Helmet bag, provides protection from all sides. 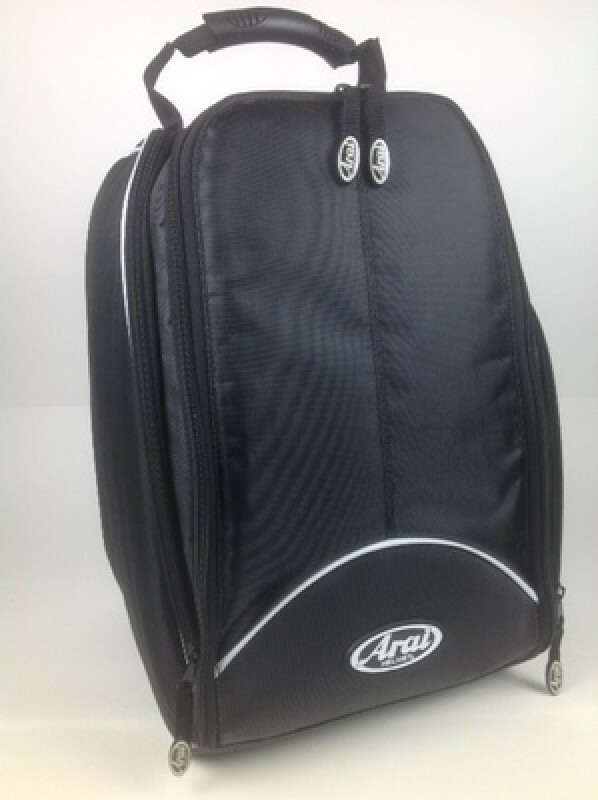 Large enough to fit even the largest Arai helmet sizes. 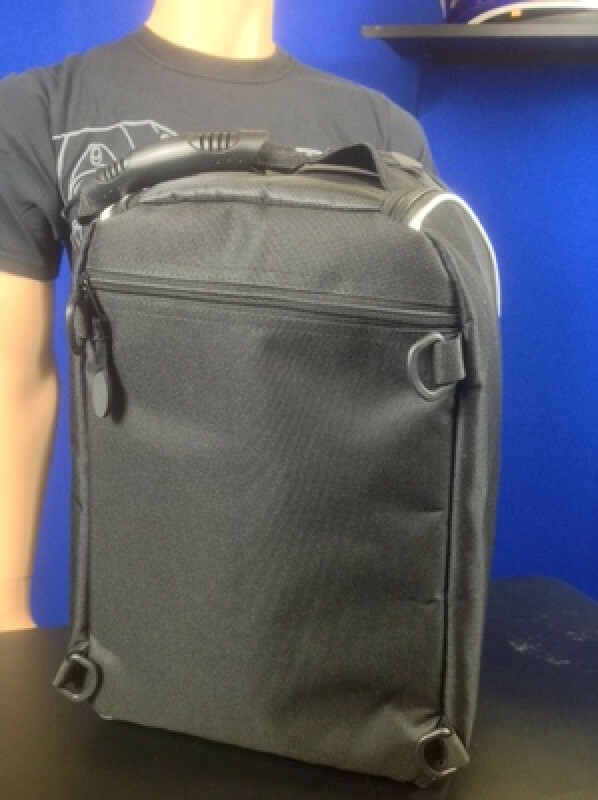 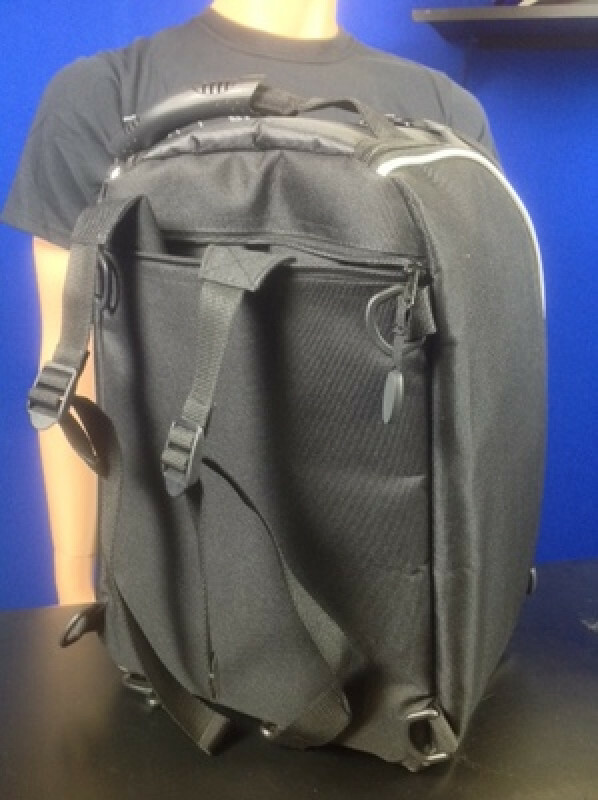 Large molded handle is comfortable for carrying for long periods of time, or you might choose to use the padded shoulder straps, hidden in a zippered compartment for easy storage when not being used. 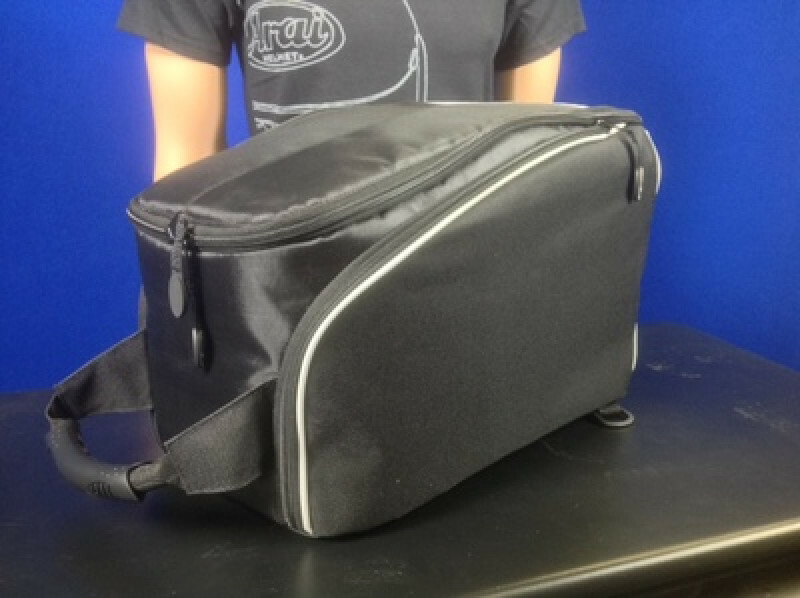 Double shield pouch comes standard (extras can be purchased separately).